RESIDENT LEADERSHIP PROGRAM -- APPLY TODAY! NHS of New Haven is now accepting applications for our 2017 Resident Leadership Program! Based on a curriculum developed in conjunction with our national partner, NeighborWorks®America, the program consists of five units. 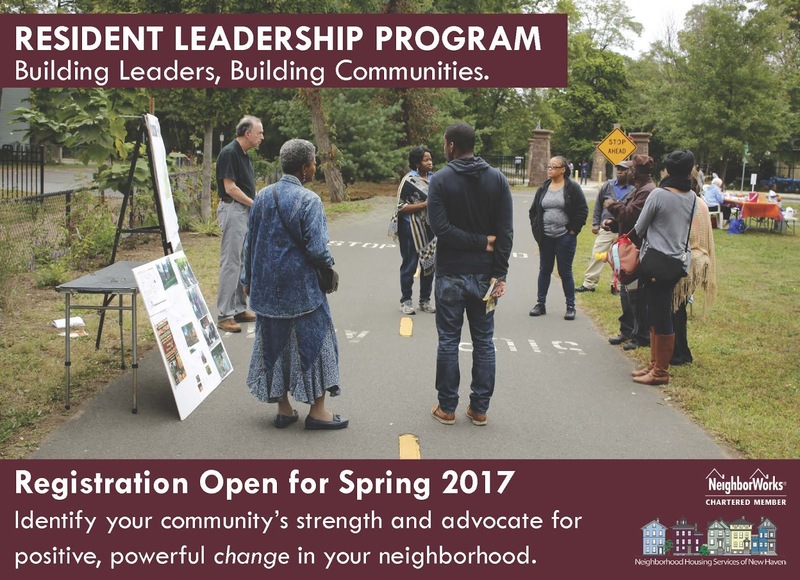 The primary goals of this program are to transfer concrete leadership skills to New Haven residents, create a space for participants to share their experiences with one another and increase their sense of being agents of change. One key to achieving these goals starts with the fundamental belief that participants and the communities they represent are assets. Oftentimes leadership programs are built to fill in the “missing gaps” in emerging leaders rather than to hone the strengths they already possess or allow time to build confidence and skills. This program aims to change that paradigm. Little Known Facts About the Woman Who Inspired NeighborWorks! It's That Time of Year Again...Are You in the Mood to Buy A Home? NHS of New Haven is committed to ensuring that each and every prospective homeowner goes into their purchase with their eyes wide open. Understanding the mortgage process, understanding your numbers, understanding everything that comes along with being a homeowner is what we teach best! For a quick guide, check out this graphic created by NeighborWorks America. Or click on the If you have any questions, you can reach out to any NHS staff member and we'll be happy to help! NHS of New Haven is a NeighborWorks America chartered member.